The global oligarchy’s encapsulation of the increasingly narrow and self-censored US political debate continued apace yesterday, with NBC informing us that recently announced Democratic primary candidate Rep. Tulsi Gabbard (D-HI) is a potential Russian agent. Gabbard, like the French Yellow Vests and other disgruntled masses, is a real threat to the increasingly sleepless Rothschild-led junta pushing this planet towards total enslavement. NBC is owned by the notorious Crown Agent General Electric, builder of nuclear power plants, surveillance smart meters and a new line of mercury-laced killer blue LED 5G-transmitter light bulbs. Their MSNBC fake left operation is funded by Crown Agent Lockheed Martin and Raytheon. This is why real left journalists Keith Olbermann, Ed Schultz and Cenk Uygur all bolted MSNBC. 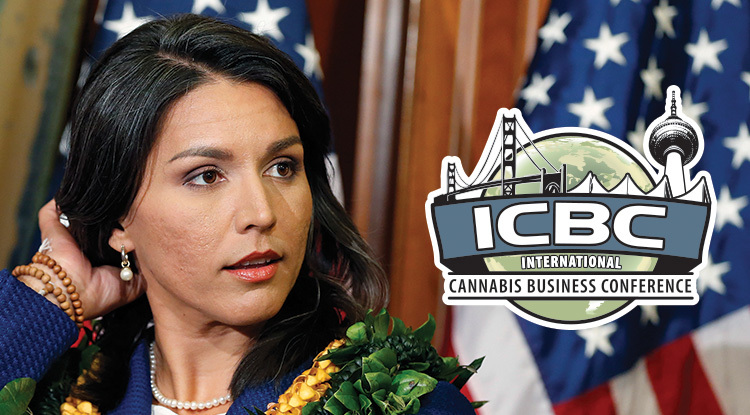 Gabbard is a real left firebrand who had the audacity to meet with Syrian President Bashar al-Assad, and was lambasted by warmongers in her own party for doing so. In a recent interview with NBC’s Kasie Hunt, Gabbard refused to label Assad as a US adversary. A Fijian-American Hindu, Gabbard is an Iraqi War veteran and has called for an end to all US regime-change military interventions which have been a staple over the past seven decades. Most recently she has been the lone voice in Congress criticizing both the Saudi proxy war on Yemen and the attempted US coup in Venezuela, the latter spearheaded by convicted Iran/Contra criminal Elliot Abrams. The corporate-controlled DNC machine has marched out Sen. Kamala Harris (D-CA) as the antidote blue pill for potential Gabbard supporters, with Hillary Clinton informing us that anyone who doesn’t support Harris is misogynous. Apparently fake left snowflakes are free to bash Gabbard and pass thought police muster. Harris is a reactionary supporter of the police state whose record on police brutality is dismal. Her foreign policy is interventionist. She is a corporate dupe, like most of both the Democrat and Republican parties. There is not a dime’s worth of difference between a neo-con and a neo-liberal. Both support the military-industrial complex in its fascist push for full spectrum dominance. The financial oligarchy continues to push global politics to the right. They have used fake left “politically correct” divisive jargon and a flood of bombed-out immigrants to create the desired right-wing reaction in both the US & Europe. They have bolstered both the Libertarian Party and the “alt-right”, since both offer the same old monopoly capitalist solutions as the two major parties. The ultimate goal of these banksters is to permanently discredit the real left by marching out a series of fake left Soros-funded idiots that any decent person will love to hate. If someone who represents the real left attempts to enter the debate, they are instantly branded as “illegitimate Russian-backed traitors” by the establishment media. Tulsi Gabbard is one such revolutionary interloper. Give her your support while you still can. She has my full endorsement for President, though I have no illusions that it will matter. Thanks Dean for the update. I will keep a closer eye out for Tulsi going forward. Thanks Dean for informing. Media nowadays belongs to banksters, the same for the parties, few people with integrity fighting for the truth are left in this world. Thanks for this post, Dean. She has my full support, as well. I was impressed when she asked the Secretary of Defense and the House Armed Services Committee why we are protecting ISIS in Syria during Obama`s reign. I knew it wouldn’t be long after she declared her candidacy that the propaganda would be slung in her face. And, I agree, as well, she’s a pie in the sky dream as was Kucinich. Dean, of course I’ll support Tulsi. A ” soviet agent”? Smearing and discreditng it’s Media overabused ancient ritual to convince fools. Democratic party and the rest of Federal and States Congresses? nightmare” through the game of making believe and then disappoint, if you don’t adjust to, or comply to the media induction become the subject of DHS compulsion,. the option always on the table. No longer a democracy, but each time a more dictatorial human being manipulative process into slavery and exterminatory planning, now, according to the Constitution, later on, forget about Bill of Rights, Constitution or any right at all, along with any election. Wake up Americans, follow Dean’s eye opening articles. Ocasio-Cortez backpedals on any criticism of Zionist actions or policies when questioned by mainstream (Zionist supporting and funded) “reporters”. She has never criticized American imperialism. I wouldn’t put her in Gabbard`s league. Imagine a debate between Tulsi Gabbard and Tsarina Cortez. It would be akin to child abuse..
Ha! Visions of Dan Qualye comparing himself to JFK. Kamala Harris knows how to Get-A-Head. Willie Brown helped her get a Leg-Up. United Christians for Israel, founded and led by pastor John Hagee, have millions of members and call themselves “the largest pro-Israel charity in the United States.” The organization was an important factor in the decision of US President Donald Trump in 2017 to recognize Jerusalem as the capital of Israel and to transfer the US embassy there. Gabbard sponsored the resolution of the Congress criticizing Amnesty International for revealing Israeli atrocities against civilians in his blitzkrieg in Gaza in 2014. The resolution stated that Israel “focuses on terrorist targets” and “goes to extraordinary efforts to attack only terrorist actors”. Zionism and Islamophobia Gabbard have gained recognition and support from all kinds of unpalatable characters – like right-wing billionaire and Zionist Sheldon Adelson, who loudly declared that “all Muslims are terrorists”. In addition to Israel’s loyal defender, Gabbard has also proved to be a credible servant of Adelson’s business interests. Introduced regulations against online gambling to protect the casino’s empire from competition on the Internet. Adelson thanked her, giving her the Champion of Freedom award. Her prejudices against Islam directly stem from her Hindu fundamentalism. Gabbard became one of the main American political supporters of Narendra Modi, the leader of the Hindu sectarian party Bharatiya Janata (BJP) and the current Prime Minister of India. Being the main minister of the Indian state of Gujarat in 2002, Modi helped spark a pogrom against Muslims, in which they killed 2,000 people and displaced over 200,000 people in the ethnic cleansing campaign. Since his victory in the 2014 elections, Modi has been a decidedly pro-Israeli Indian politician and has strong relations with Prime Minister Benjamin Netanyahu. Gabbard’s service for the most right-wing forces in Indian politics leaves no doubt about its Islamophobia. As with other leading liberal democrats, Gabbard’s alleged progressive values ​​do not extend to the Palestinian struggle for freedom. While she may support the resistance of Indian Native at Standing Rock, she will not support the indigenous people of Palestine and her struggle for self-determination against Israeli colonialism. Finding all this information takes less time than burning a cigarette.